Most soft drinks, particularly colas, are extremely acidic. Colas contain high levels of phosphoric acid,15 a powerful acid capable of poisoning you if not quickly neutralized. Cola (regular or diet) has an extraordinarily low (that is, acidic) pH, around 2.5. Because pH measurement is logarithmic (a decrease of 1 in pH means multiplying the acidity by 10), a pH of 2.5 means that it would take 3,200 glasses of alkaline water with a pH of 8 (or 32 glasses with a pH of 10) to neutralize the acid in just one glass of cola. If the body did nothing to counteract it, a single glass of cola would change the pH of your blood to 4.6, killing you instantly. The body uses calcium to convert the poisonous liquid phosphoric acid in colas into the more stable solid phosphates, for example.22 But these phosphates may form into calcified kidney stones, or calcium deposits (which can also result from a urinary infection, inherited metabolic disorders, and other causes23). 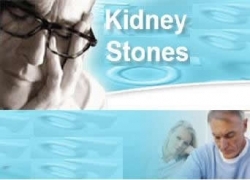 Many people erroneously think kidney stones are caused by excessive calcium. But the real culprit may be the high level of phosphoric acid, which happens to be a primary ingredient of colas. Anyone with a concern about kidney stones should avoid colas. Consuming acidic foods such as soft drinks may also create an ideal environment for cancer to form. Animal cells survive best in an alkaline environment with a blood pH of 7.35 to 7.45. Plant cells are the opposite; they prefer an acidic environment. As our bodies become increasingly acidic, some cells adapt through an internal evolutionary process and become more like plant cells. These abnormal plantlike cells have a high tendency to become cancer cells, which thrive in an acidic environment.24 So an important strategy for preventing or treating cancer is to maintain an alkaline environment in the body.